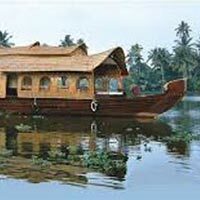 04 Nights Accommodations in Kerala (2N Munnar, 1N Thekaddy, 1N Alleppey) @ 3 star rated Hotel. Airport/Railway station transfers from Cochin with Private Vehicle. Two Nights stay in Munnar. One Night stay in Thekaddy. One Night Stay in Alleppey. 10% discount on beverages daily during happy hours at our bar. Morning disemperk from the Houseboat at boat jetty. Visit Alleppey Beach. Proceed to Cochin. Bid farewell to this serene land as your Holidays comes to an end as you get transferred to Cochin Airport or Ernakulam Railway Station for your onward journey back to home.